Look at this gorgeous woodland fairy. 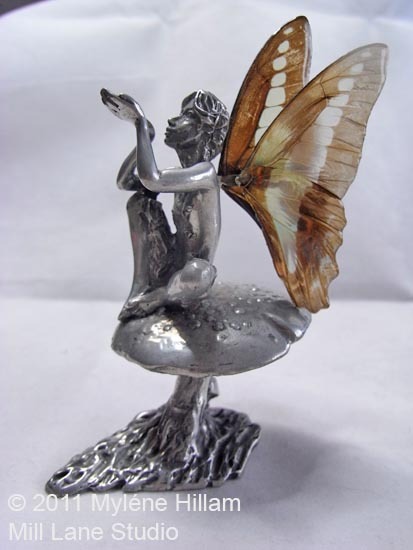 I think the statue is pewter because it is quite heavy but the wings.... oh my, they are real butterfly wings. They are just so stunning! One of my students brought this along to my resin jewellery workshop yesterday and I was just blown away by how beautiful the wings are. The little fairy provided the inspiration for the whole workshop where we worked on all things butterfly and from nature. 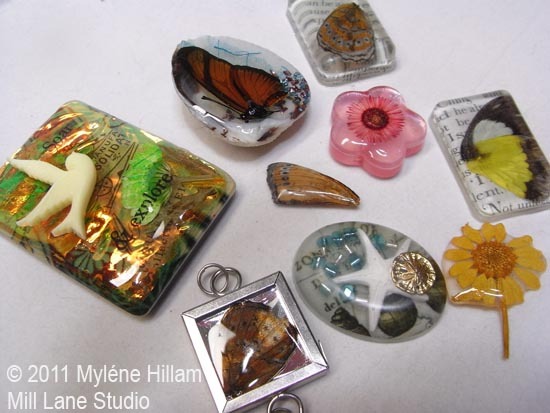 Resin is the ultimate preservative for these gifts from Mother Nature and turning these pieces into jewellery is the perfect way to carry a little bit of nature with you no matter where you go. Butterflies and nature will now be a regular feature in my resin jewellery workshop so if you'd like to learn how to embed butterflies, flowers, feathers or other objects from nature in resin why not treat yourself to a Mill Lane Studio resin jewellery workshop. The next workshop is Sunday 18th September and there are still a couple of vacancies available.